The organization has established partnership with various international and national organizations to achieve program objective, target, goal and mission. The partnerships have proven valuable in expanding projects and building professional growth of the organization. 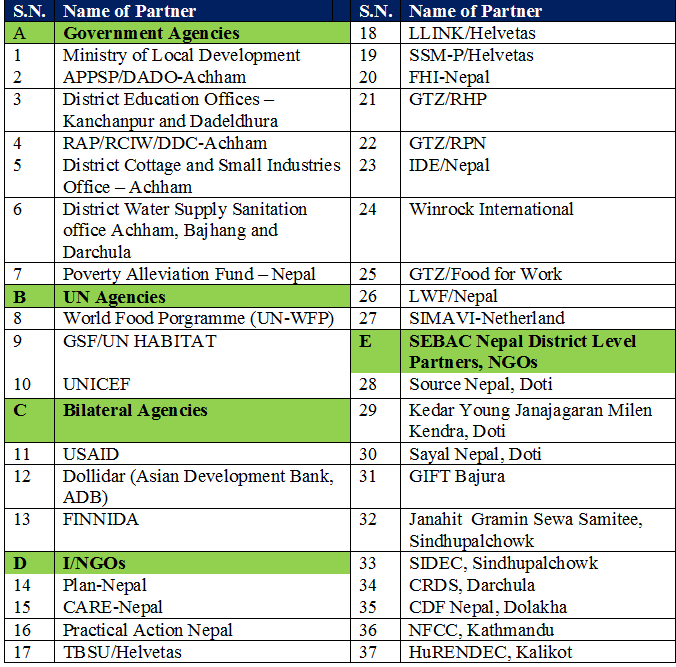 The major partners of SEBAC Nepal are listed below. © Copyright 2011 Sebac Nepal. All Rights Reserved.